 Taormina Arte has reached its sixty-fifth edition, the festival dedicated to the arts of theater, dance, music, opera and cinema. 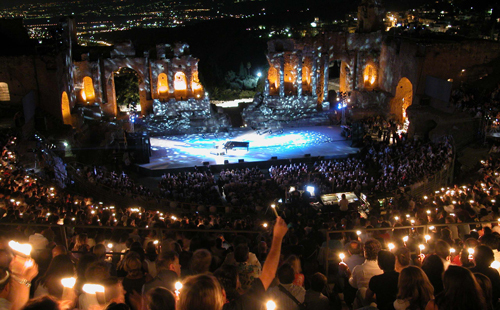 The latter event is connected to the annual event of the Nastri d’Argento that takes place in the beautiful setting of the Greek-Roman Theater of Taormina. The event, promoted by the Italian National Film Journalists Union, has awarded the best film award of the year since 1946 and is one of the most important Italian events in the sector.